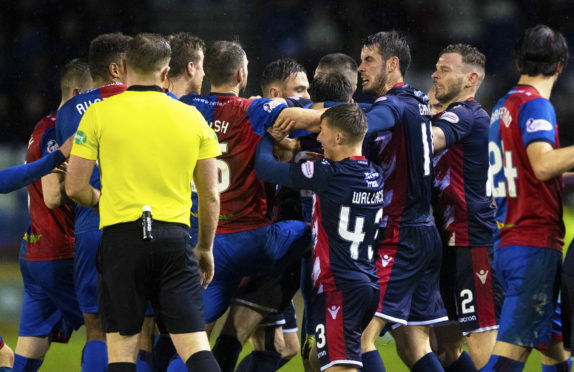 Both sets of players became involved in spat following a tackle by Brad McKay of Inverness on County winger Michael Gardyne in the Scottish Cup replay on February 19 and were deemed to have breached disciplinary rule 204 as a result resulting in a £2,500 fine by the association. The two clubs made their case at the SFA on Thursday with the association announcing its decision today. The two clubs will renew rivalries at Caledonian Stadium next weekend when they meet in the final Highland derby of the season on Tuesday, April 2.